Have a few light bulbs and a blowtorch? Then join the folks over at Harvard in a cool science experiment on the conductivity of glass. As you well know, glass is an insulator with low conductivity and high resistivity. 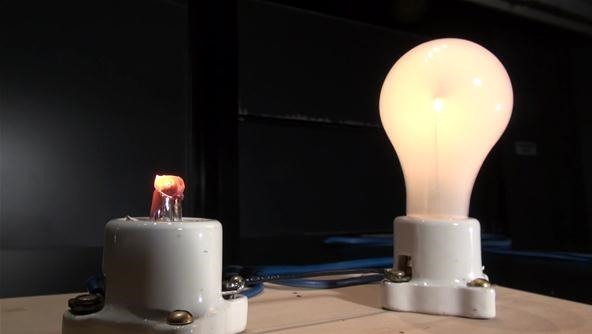 In the video below, they flip the switch, demonstrating how heating the glass fuse enclosure from an incandescent light bulb can create a conductive material that completes the series circuit and lights the second light bulb. In the video, the two light sockets are wired in series. In the sockets are two bulbs with the same wattage. When the circuit is plugged into a power source, both bulbs pass the same amount of current, so both light up exactly the same. After unscrewing one bulb, the circuit breaks and the other bulb dies. 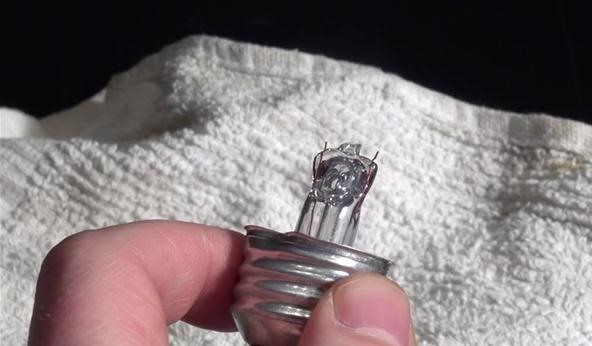 After unplugging the circuit from the power source, they replace the bulb that was taken out with one missing the outer glass envelope and with trimmed contact and support wires. They plug the circuit back into the outlet and nothing happens. At least, until they break out the blowtorch and heat the glass fuse enclosure to a red-hot 1,000 K, turning the once insulating glass into a conductive material. The melted glass is then able to carry enough current to light the other light bulb. After removing the heat source, the glowing hot melted glass cools and the other light bulb slowly dims. Want to try out this experiment yourself? Make sure to stay safe and follow the instructions over at Harvard's Natural Sciences site. News: Everything Glass - please participate! who ever thinks up these inventive and the people that make up the inventions are incredable and I thank use for these very clever insight.